When to keep the "secret"
When to keep the "secret" of your sea glass spot? My father was a successful fisherman back before technology did the job. He never shared where the fishing was good - his living depended on it. I think it's alright to share the names of beaches that are commonly known to have seaglass. This benefits us all. For example, when traveling, I like to look for seaglass. If I had a general idea where to go, it would be helpful. 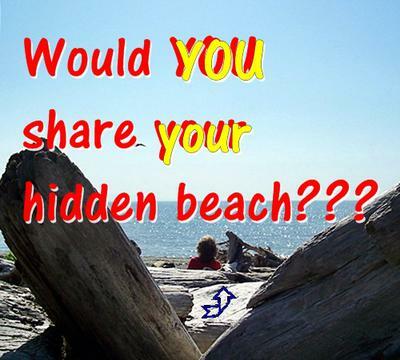 I would only be there for a short period of time and would respect your beach. I have a favorite place to go for sea glass here in Washington State (USA). I have no problem sharing the location, as it's not a major tourist destination and there is plenty for all. It's out of the way, I can't see thousands flocking to my beach. I would also be comfortable sharing the name of a town without giving specifics. We all "hunt" for similar reasons, why not be amicable? I wouldn't share my small "secret" spots as they are special to me...as I assume others wouldn't share theirs.